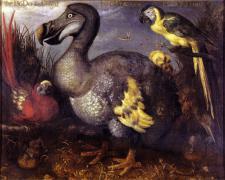 De-extinction has been much discussed in print, but the most complete case for the project is made at the website of Revive and Restore, a nonprofit dedicated to “genomic conservation&rdquo;; their “overall goal,&rdquo; in their words, is “enhancing biological diversity and ecological health worldwide.&rdquo; Revive and Restore—the project of environmentalist, entrepreneur and Whole Earth Catalog founder Stewart Brand, and his wife, Ryan Phelan—touts, sponsors, and helps to coordinate several hoped-for restorations, including the heath hen, the passenger pigeon, and the woolly mammoth. In TED talks and other forums, Brand has been a passionate advocate of de-extinction. Revive and Restore&rsquo;s webpages are artful and complex: words, images, and video combine and reinforce each other, and appeals to reason and emotion are interwoven. The total effect of these strategies is to present de-extinction as an ideal route to an ideal outcome; in doing so, however, the persuasion tends to erase or minimize complexities, both technical and conceptual. To see how this works, let&rsquo;s take a closer look, beginning with the smallest unit: the word chosen to describe the project. The word “de-extinction&rdquo;—neutral, scientific-sounding—frames the discussion in a powerful way. That power resides largely in the prefix.